It’s only a matter of time before humanity solves the aging problem. And resistance to radical life extension has already begun, driven by fears of overpopulation and the exhaustion of our planet's resources. Here’s why the critics are wrong. Top image: "Chi-Town" by Stefan Morell. Make no mistake, it’ll take us a long, long time to get there, but we’ll eventually find a way to halt the aging process. Owing to advanced medical, regenerative, and cybernetic technologies, future humans will enter into a state of “negligible senescence,” a condition marked by the cessation of aging and the onset of everlasting youth. It sounds utopian, but as biogerontologistAubrey de Grey has repeatedly noted, it’s simply an engineering problem — one that’s not intractable. Setting aside all of the other objections to radical life extension (which I’ll happily tackle in future posts), we need to approach these issues with an eye to the future. We should be cognizant of the very real possibility that we’ll devise solutions to cope with an ever-growing population. Remember, this will be at a stage in the future when we’ve cured aging. That’s no small feat! So it’s difficult for us to imagine the other things we’ll be capable of at the same time.Indeed, a perpetually growing population on a finite planet seems like a ludicrous and completely suicidal proposition. Where are we going to fit everybody? And how are we supposed to provide for humanity’s basic needs, like food, water, shelter, medical care, and education? And how could we possibly do this in a clean and sustainable way? Actually, it’s not. In a world where we have halted human aging we will have also mastered human biology, entered into the age of the cyborg, have super-powerful AI at our disposal, and the ability to convert clumps of matter into virtually anything we want. We’ll also have solved our basic energy needs, while setting the clock back on our current environmental travails. And of course, we’ll be venturing out into space — and cyberspace. Perpetual population growth on a finite planet? Overpopulation and sustainability are problems not so much for the future as they’re problems for the present. We’re not able to deal with these things now — so we’ve projected our current inability to cope onto future generations. Indeed, there are 870 million people living today who are chronically undernourished. And as the biologist E. O. Wilson has said, we would need four planet Earths to bring everybody up to first world standards. And then there's global warming to consider. Talk of extreme longevity seems ridiculous in light of all this; it’s hard for us to imagine radical change as far as our technologies and social institutions are concerned. So we throw up our hands in despair and condemn the prospect. But as Annalee Newitz pointed out recently, much of the fear about the Population Bomb has to do with neo-Malthusian currents that are still lingering through our society, a remnant of pre-Green Revolution hysteria. As the U.N. has pointed out, global population will reach 9.3 billion in 2050. But then it’ll take another 50 years to reach 11 billion (there are currently 7.2 billion people on the planet). This is without life extension, of course — but it points to an interesting trend: As women gain more access to education, jobs, and (especially) birth control, they have fewer children. We can expect this trend to continue as economic and cultural globalization sweeps across the planet. Newitz also points to another interesting — and often overlooked — consideration. Rather than talk about eugenic-like restrictions on human reproduction (like a one-child policy or doping the water supply with contraceptives) or deliberately starving certain groups, we should adopt the political and social will to address these issues — like investing in education, sustainable agriculture, and initiatives to develop clean and renewable energy. Without a doubt, widespread radical life extension will reshape the fabric of society. But as noted, humanity will have to reform and adapt to environmental, resource, and population pressures outside of this. However, there’s only so much that politicians and well-meaning citizens can do; perpetual population growth — even if it is dramatically slowed down via socioeconomic factors — is still perpetual population growth. We’re eventually going to have to find solutions as far as resource depletion, pollution, and living space is concerned. Thankfully, relatively near-term progress in biotechnologies (like genetic engineering and regenerative medicine), nanotechnology, artificial intelligence, cognitive science, and space technologies will significantly increase our chances of addressing many of these problems. Over the course of the next several decades, and as we eventually (and hopefully) cross into the next century, humanity will progressively shrink its global footprint on the planet — a footprint that, for each of us, is impossibly large right now. How are we going to feed everybody? For example, the researcher Eric K. Drexler has already developed extensive theoretical arguments for the feasibility of nanotechnology, a bottom-up manufacturing technology which will allow the synthesis of cheap food and housing from raw materials for extremely low costs. 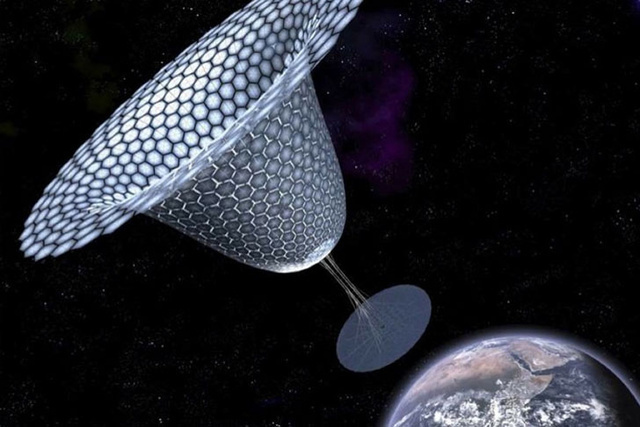 This technology could also be applied towards the construction of cheap spacecraft or space elevators, giving millions or billions of individuals the opportunity to colonize the solar system should the Earth become uncomfortably overpopulated. Marshall T. Savage has estimated in his book "The Millennial Project" that the Solar System could sustain upwards of a billion humans, each with mansions upon mansions of living space, for several billion years. This book also neglects the more recently-conceived benefits that advanced nanotechnology and virtual reality would confer once they mature. No doubt, a Star Trek-like replicator would dramatically change the situation. We could literally generate food from basic clumps of matter. Of course, we should never bank on something as highly conceptual as a molecular fabricator; though some experts predict its appearance in the next several decades (largely owing to our recent successes with additive manufacturing and various nanotechnological breakthroughs), it may be a while before we have robust, safe, and affordable fabricators. In the meantime, we need to figure out a better way to sustain the population. Indeed,we are way off track if we hope to feed everybody by 2050. But as futurist Ramez Naam recently told me, there are things we can do today, like support the ongoing development of emerging nations and the development of genetically engineered crops (e.g. so that they’re high yield, pest resistant, and require less fertilizer and irrigation). Admittedly, the food problem is a tricky one, and it needs to be prioritized accordingly. Where are we going to get all that energy? In addition to food, there’s also the energy problem to consider. But again there’s some light at the end of the tunnel. 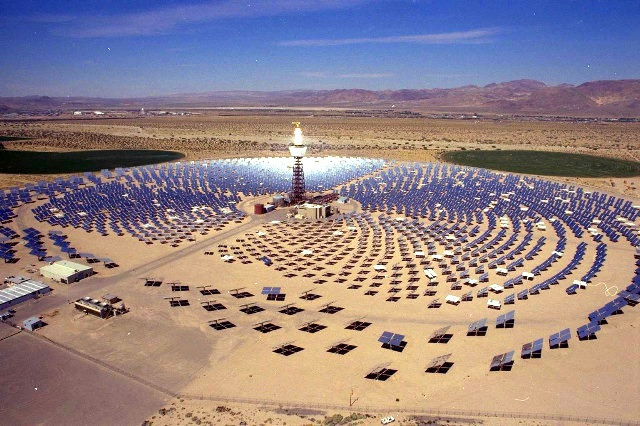 A critical pending technological advance will come in the form of concentrated solar power, a massively distributed system for extracting solar energy with mirrors and lenses. Once scaled-up, it’ll serve as a highly efficient energy source allowing for gigawatt sized solar power plants. Oh, and it’ll also double as a desalination station, which will conveniently solve the water shortage problem as well. Perhaps more profoundly, there’s also the potential for space-based solar power — and we’re going to need it; if economic progress and globalization continues at its current pace, we'll have to produce twice the amount of energy that's consumed today by the 2030s — which will reach a monumental 220 trillion kiloWatt hours per year. By the end of the century, we'll need four times the current rate of consumption. Space-based power, in which solar energy is extracted by massive panels and beamed down to Earth via microwave wireless power transmitters, will be a game-changer. Where are we going to put everybody? There’s a kind of myth floating around about overpopulation and living space. The problem isn’t so much about elbow room as it’s about the untenable size of our individual global footprints. If we can bring that down, then the numbers don’t really matter — there’s plenty of space on Earth. 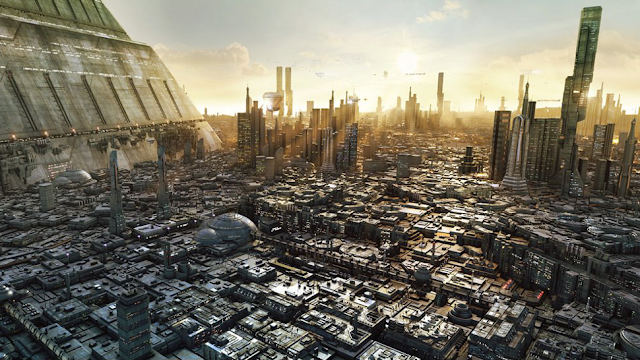 Take the prospect of arcologies, for example, or megacity pyramids. 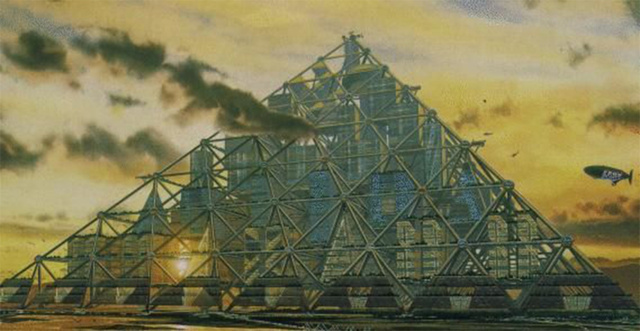 The conceptual Shimizu Corporation’s three-mile long pyramid would be 14 times higher than the Great Pyramid of Giza and capable of housing an astounding 750,000 people on Tokyo Bay. It would be made from lightweight carbon fiber and boast research facilities, shopping centers, private homes, and restaurants. It would also be powered by solar power, wind, and even algae/pond scum. Alternately, there’s the potential for seasteading arcologies and other sea-based dwellings. Or,we could just move underground. Looking further ahead, it’s obvious that humanity needs to venture out into space. This is a good idea — not only as a way to deal with perpetual population growth — but as a way to avoid extinction should something terrible befall humanity, whether it be self-inflicted or induced by nature (e.g. an asteroid impact or super-volcanism). Other solutions include colonies on the Moon, Mars, and in space stations. Eventually, we may be able to terraform both Mars and Venus. We should also think about megascale projects, like creating habitable portions on a Dyson sphere — a massive structure enveloping the Sun. Of course, there’s also interstellar space to consider. Lastly, there’s also the transhumanist potential, namely the prospect of a posthuman future. Assuming that the mind uploading hypothesis is correct, we could discard our bodies and venture into digital space where the only “environmental” limitations will be computational power, hard drive space, and heat waste. But if we can’t upload, we can still genetically and cybernetically modify our bodies and minds to reduce our ecological footprint (e.g. minimal energy requirements — and possibly even photosynthetic skin).